When you hand craft clothing for children to sell at a shop or booth, you should consider using custom clothing labels. Doing so distinguishes your clothing from other sellers and helps you to establish a brand. When choosing your labels, you have the option of different ways to attach it to the clothing. Your choice will depend on the type of clothing you made. Sew-on labels are sewn into the seam of clothing when you make it. You have several different options for these labels. They range in size from 3/8-inch to 1-inch labels. On the label, you can add the name of your line of clothing, your child’s name, pictures, and messages. Iron-on labels have adhesive on the back of the label that allows it to stick to the clothing. When you run an iron over these designs, they stick to the shirt or pants. This type of label is very convenient and popular. 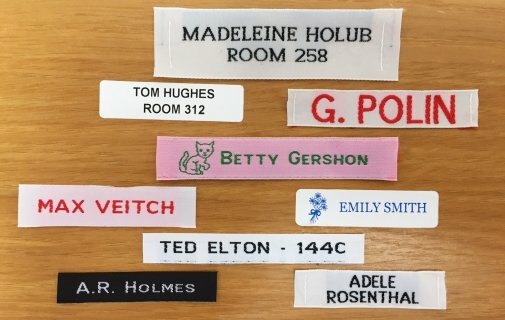 Stick-on labels are best used as nametags. These labels stick onto the existing tag inside of the clothing. These labels have many more uses other than for clothing. 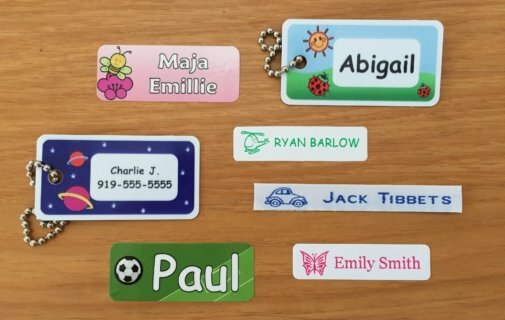 You can use these stick-on labels to identify your child’s belongings when he or she is heading to a sleepover. Snap-on labels use the Snappy Tag system to apply the tags. With them, you can add a small button-like object that attaches to the existing tag. With this type of tag, you do not have to worry about sewing, ironing, or dealing with adhesive. For more information on purchasing custom clothing labels, contact us at It’s Mine Labels.